JECA was founded in 2009 with 18 students and three full-time faculty members. Like every start-up, we had our fair share of difficulties in our founding years, but God saw us through those early setbacks to a stage of marked growth. Since our founding, our average rate of growth has been more than 30% per year. Ten of our original fourteen families are still in the area and still with us. Our school is indebted to the service of Pastor Sam Gage and Judge Syd Jordan, our founding board members and the individuals who led us through our first three years. Pastor Gage and his wife Dana conceived the original vision of JECA and took the steps to turn that vision into a reality. The tilling and planting years were arduous, and we are a bountiful school because of their early labors. 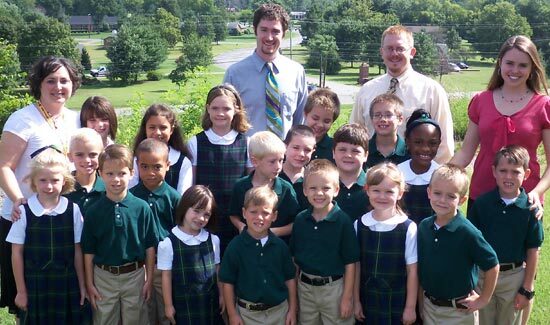 Our school has always enjoyed a sweet, caring family atmosphere full of encouragement, grace, help, Gospel productivity, and joy. Our families relish opportunities to fellowship, pray, and grow with each other. We are 92 families attending 35 different churches, but the unifying and central theme of each church and home is the reality of the Gospel. We solve problems with the Gospel and trust in the reality of the Gospel for both salvation and daily living. In October of 2014, we purchased the former campus of Pioneer Christian Academy (1969-2009). We have 25 acres of field, hills, and woods that we call Jackson Hollow. It’s a wonderful solitude with many deer and wild turkey at our doorstep—only eight miles from downtown Nashville. 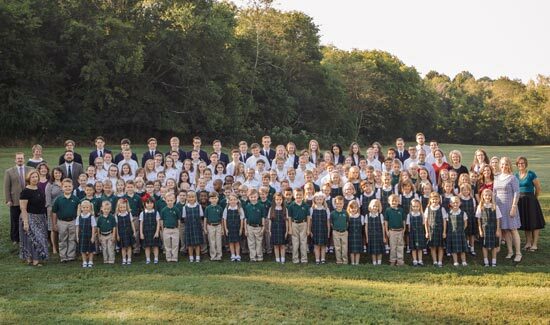 The 2015-16 school year was our first year settled into Jackson Hollow. While we have brought the building a long way, we still desire to do much more aesthetically. We want to lead the way among Christian schools valuing the role of atmosphere and beauty in an education. The 2018-19 school year is our 10th. We have 176 students from 92 families, 14 full-time teachers and administrators, and 17 part-time teachers and staff members. God has been the impetus for growth at this school. He has given us distinct stones of remembrance along the way as testaments of His faithfulness. He has provisioned us with giving friends, an excellent and faithful faculty, and a steady vision toward our mission. He has been a strong fortress and high tower, and we believe that we are in a place of joyful, productive dependence on Him for the future of our school.